The "Elf on the Shelf" has become synonymous with the holiday season. The little helper is meant to act as Santa's spy during the holidays; parents set it up at different places around the house to keep an eye on their kids. Legend has it that the elf then flies to the North Pole to relay information to Santa about the kids' behaviour. The story goes, that makes it easier for the man in red to decide who receives toys, and who ends up with coal on Christmas morning. It's the brainchild of Cincinnati-based author and former Hasbro employee Neal Hoffman, who came up with the idea while in a store with his son Jacob two years ago, the Toronto Star reported. Jacob saw an elf and asked if they could buy one. Hoffman said no, citing their religion, and said they could have a "Mensch on a Bench" instead. And so an idea was born. 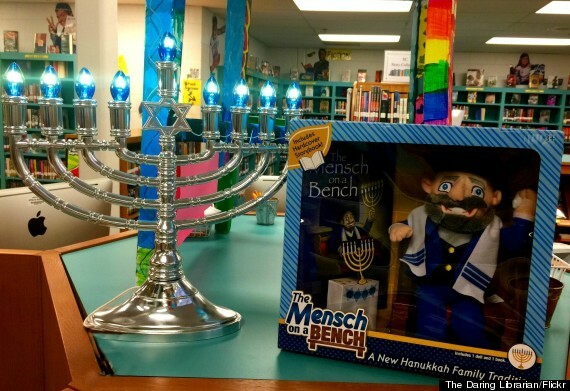 He adapted the story of Hanukkah into a children's book about a "Mensch" named Moshe, who watched over the menorah at the Holy Temple in Jerusalem after Jews retook it from the Seleucids. The story goes that there was only enough oil to light the menorah for a single night, but it miraculously stayed illuminated for eight days. And in Hoffman's story, Moshe stayed up to watch it burn while others were sleeping. The story also helped to spawn a "Mensch" doll, which sold out in 10 days last year, the Star reported. This year, as many as 50,000 Mensches could be sold. 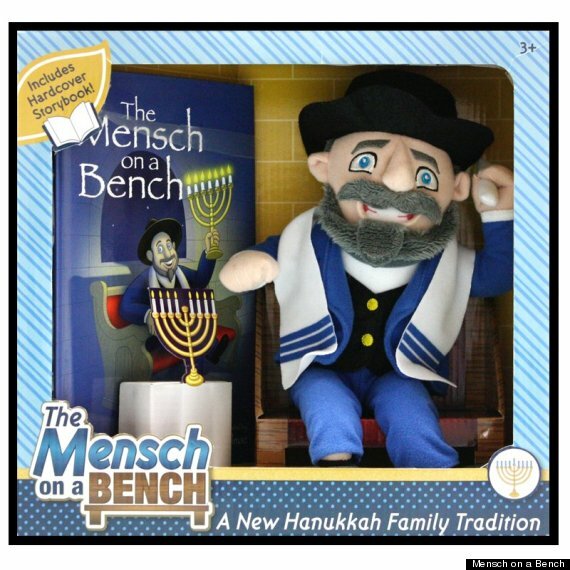 Like the Elf, there are rules around a "Mensch" doll. Families should give it a name and treat it as part of the household, have him hold a shamash candle and move him around so he doesn't tire of sitting in a single place, according to its website. People should also position him so he can watch the menorah while everyone else is asleep. While the Mensch's holiday sales look set to spike already, they could receive an added boost from Hoffman's appearance on ABC's "Shark Tank," where he will present the book and the doll on Dec. 12, Cincinnati.com reported. "I'm literally living the American dream," he told the website. "I keep waiting to wake up thinking that I had a funny dream that I created a little Jewish doll."